An entrance sign used in the production of Pete Travis’ dystopian thriller Dredd. 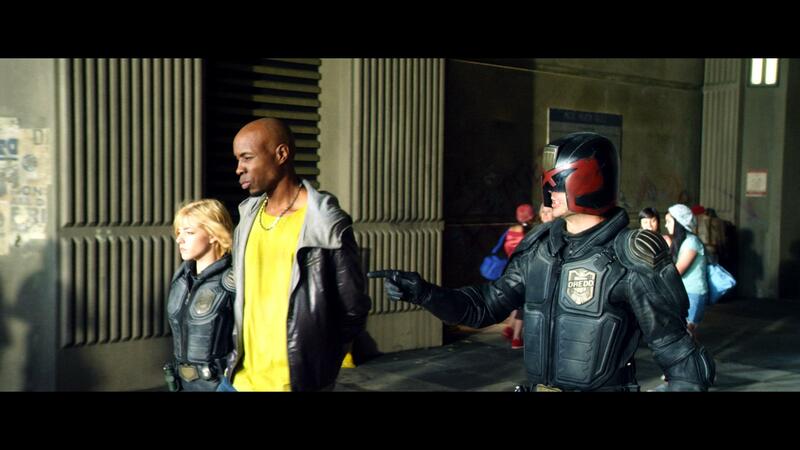 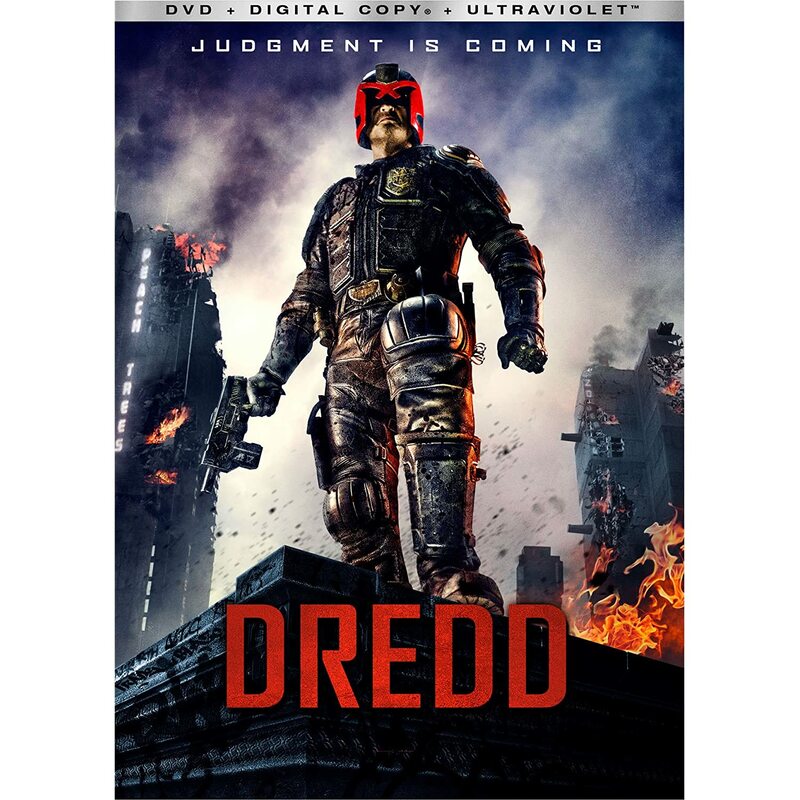 Assigned a psychic rookie candidate for field training, Judge Dredd (Karl Urban) and Anderson (Olivia Thirlby) hit the streets of Mega-City 1 and soon become embroiled in a deep investigation regarding the illegal drug Slo-Mo and brutal gang leader Ma-Ma (Lena Headey). 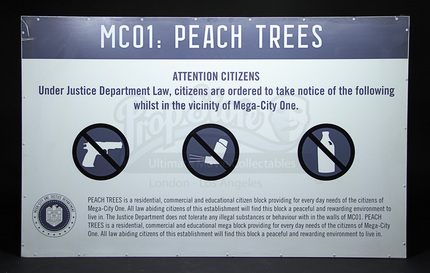 This sign and others like it were used at the entrance of the Peach Trees mega block, seen as Dredd and Anderson enter the massive structure to investigate the triple homicide of three gang members in the atrium, and can be screen matched to the entranceway. 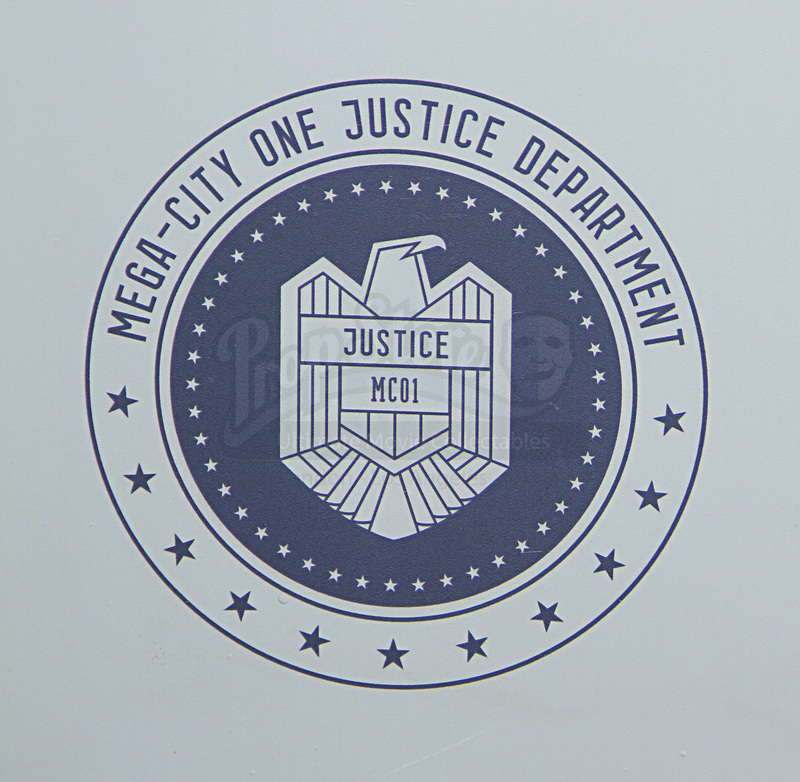 This particular sign is not distressed, indicating it was made for the production but ultimately not seen on screen. 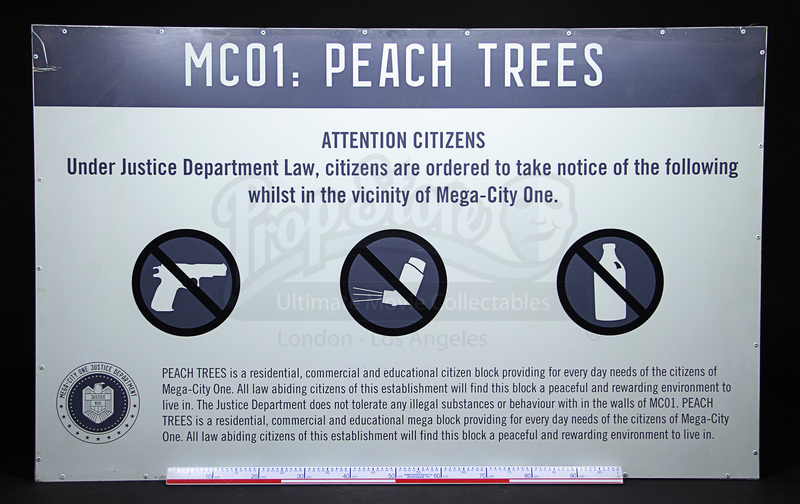 The sign is made of aluminium and reads “MC-01 Peach Trees” at the top with a Justice Department eagle at the bottom left and a disclaimer against criminal acts and the use of contraband items, including guns, alcohol and narcotics. 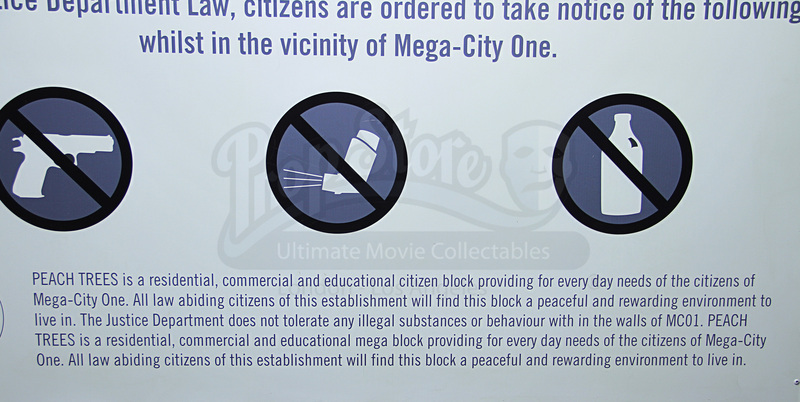 Displaying some minor wear from use and time spent in storage including scratches and scuffs around the edges, the sign remains in overall good condition.